Cloth napkins make life seem a little fancier, and bonus! its better for the environment. 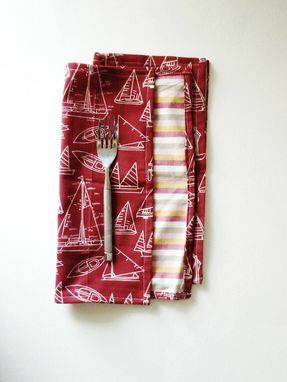 This size works great for dining at home, kitchen use or to include in kids lunches. 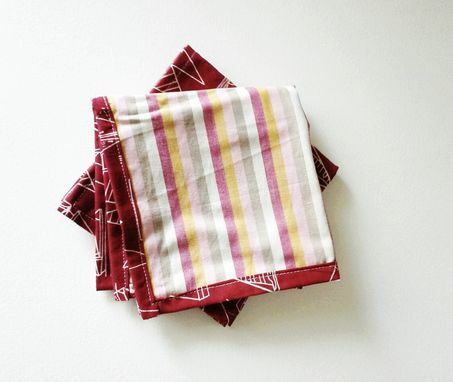 Set of two handmade cloth napkins made from cotton fabric remnants. 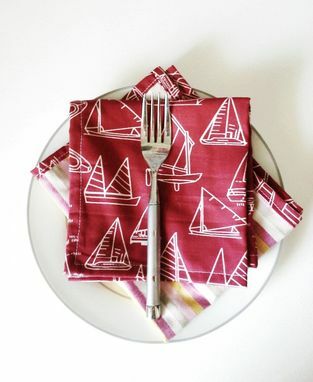 One side is rust with cream sailboat print, the reverse is pink, khaki, red and gold stripes. 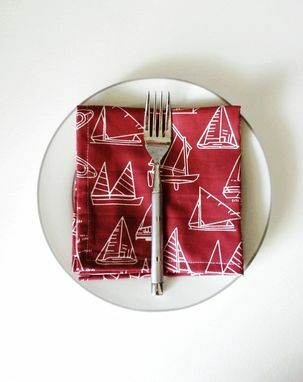 Napkins measure about 11 inches by 11 inches. Machine washable and dryer safe, warm iron as needed. Need more than two or looking for a different design? Please contact me, I'm alway happy to do custom orders.